Every year on New Year’s Eve or a few days before, my husband Jeff and I watch the movie “The Big Year,” starring Jack Black, Steve Martin, and Owen Wilson. We watch it because it is not only funny with these three actors but is based on a true story. It is about three guys giving up their normal life, their families, to spend most of the year traveling thousands of miles at the drop of a hat, to see or hear a spotted bird anywhere and anytime in North America. Like I said….ANYWHERE! This includes a garbage dump, in the deep woods, or at the top of a mountain. It doesn’t matter. All so that they can beat the other guy from getting more bird species logged than themselves within a calendar year.Why do we watch this movie? Two reasons….because it portrays just how crazy birders can be about looking for birds out in the wild and it is very entertaining. You see, my husband Jeff is a lot like them. The other reason is because it gets Jeff all pumped up to start a new birding year so that he can try to beat last year’s numbers. Every January 1st Jeff wakes up early to get a jump start on counting all the new bird species that he sees. You see the process starts all over again each new year. 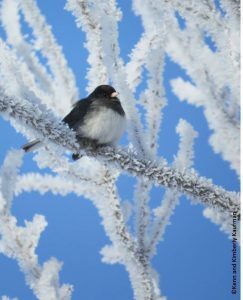 So if Jeff saw a Dark-eyed Junco for example, on December 31st last year, it will not count for this year. He has to see another Dark-eyed Junco starting on January 1st to be able to count it for this new year. He will log the date and time of the siting on his birding checklist to keep track. It is not just one checklist either. 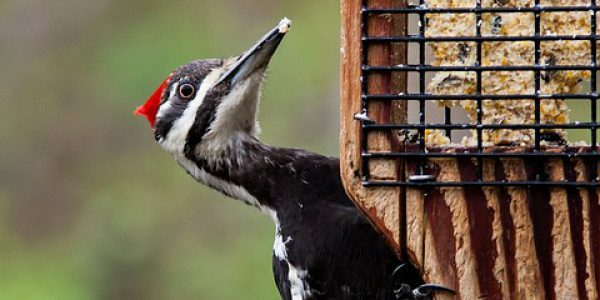 Jeff has a backyard bird list, a county bird list, and a list for each state that he sees each species. There is also a life list, one for him and one for me. A life list is a list of all of the bird species that a birder has seen in his/her life time. Trust me this is not unusual. This is what a true dedicated birder does. I call them Bird Nerds! Keeping all of the different bird lists doesn’t necessarily mean that Jeff is doing a Big Year however. He has his own set of rules that he follows because you can keep track of bird species anyway you wish to do so. However, if he were to do “A Big Year” he would have to follow the guidelines of the American Birding Association (ABA). They have a set of rules and a code of ethics for recording birds that must be followed to officially do a Big Year. 1) The bird must have been within the prescribed area when encountered, and the encounter must have occurred within the prescribed time period. (2) The bird must have been a member of a species currently listed on the ABA Checklist for lists within the ABA Area, on the AOU Check-list for lists outside the ABA Area and within the AOU Area, or on the Clements Checklist for all other areas. (4) Diagnostic characteristics, sufficient for the recorder to identify it to species, must have been seen and/or heard and/or documented for the bird encountered. There are more conditions but you get the idea. Doing a Big Year is serious business and is not for everybody. Just like in the movie, it takes up all of your time away from your normal life and you are traveling thousands of miles, spending some good money, to try and beat a world record (780 species) or just have the highest number of bird species (at least 700 to qualify) than anyone else in a given year. What is the prize? You get the amazing title of being the Best Birder in the World which is quite an accomplishment in itself, and whatever else the title leads to (a book deal for example). A Big Year in birding can be your own personal goal that you reach in any given year or it can truly be an official “Big Year” where you follow the American Birding Association’s guidelines and dedicate an entire year chasing after birds to check off on their birding record. One is obviously more challenging than the other but both are a lot of fun for the avid birder who takes birding very seriously. Have you thought of doing a Big Year? Or do you just like to keep track of what birds you see throughout the year? Either way, I would love to hear from you and your experiences. Feel free to make a comment below.